From its beginnings in 2004 Shearwater Research Inc. has been fueled by the passion and vision of its CEO Bruce Partridge. With a background in computer systems design, embedded programming and advanced technical diving, Bruce brings a unique perspective to the world of dive computers. 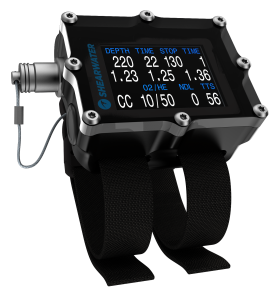 Shearwater designs and manufactures computers for divers demanding more from themselves and their diving experience. Whether you're an air, nitrox, multi gas trimix or closed circuit rebreather diver, Shearwater offers products which are powerful, simple and reliable.